Repairable writeoff thanks to a rear end crash in 2016. I have every reason to believe the main battery is working fine, and had around 20 000km on it before the crash. At last check, it was sitting at about 70% charge, which is near the upper end of optimal charge level for long term storage. 12V battery is dead from disuse. Inbuilt GPS unit doesn't work because I swapped its working one with a non-working one from another iMiEV. Charge cable is slightly frayed at one end, but with no exposed copper. Safe to use. Minor damage to front bumper. Major damage to rear, including rear suspension. Reason for selling: I want to find it a home with someone plans to either repair it or make good use of the battery for another purpose. I don't think a wrecker will do that. Also, with a home rental inspection next week, I don't want a damaged car in my driveway. Payment Method: (If sold for money) Cheque or money order if the price goes beyond a few hundred. Cash acceptable for lower amounts. Extra Info: I will pick an offer on Monday 16th of April 2018 and I expect it to be towed at your expense by Wednesday 18th at the latest. If I receive no offers by Monday afternoon, then I will send it to a wrecker. Last edited by PiMan on Sun, 15 Apr 2018, 08:31, edited 1 time in total. First quote I found for transport to Perth was $1200. Who's keen? I want a battery from one! I’m happy to take it - I can get someone to come and collect this week if you like. Can you confirm it’s not a statutory write off ? My number is 0409 158871. Repairable write off, not statutory. I am brand new to this EV gig. Believe I could utilise allot of your cars parts to bring my project to life! I am building a Modern hot rod powered by a Tesla DU. I have the full Model S rear sub frame with Base DU and was waiting due to funds to continue the parts purchase. I would love the opportunity to help you so altimately your misfortune helps me!! Thank you for you offer to help one of us out. With so many offers, I think I'll leave this up until only Saturday 14th (instead of Monday 16th). I was also hoping that if enough people were offering, that some might offer to buy it instead of just take it. I have no interest in running a full blown auction, so if anyone is willing to pay, feel free to either PM me or leave a comment here. Just to be clear, this is not a "first come, first served" give away. My first choice will be whoever offers the most money and can get it off my hands by next Wednesday at the latest. If I get no money offers from people who can take the car in time, then I will decide somewhat arbitrarily based on who I think would make the best use of it. 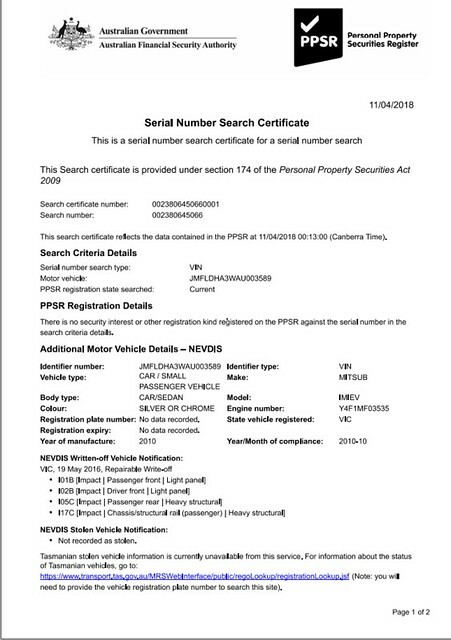 Also, one user has shared this with the AEVA Tasmania Facebook group (which is fine), but I've noticed there that some people want completely different parts of the car. If people want to divide the car amongst multiple people, I'll leave that up to whomever receives the car to handle that. Please don't think we are a ravenous pack of EV junkies. .. but Free and EV in the same sentence was sure to motivate! Please don't think we are a ravenous pack of EV junkies. 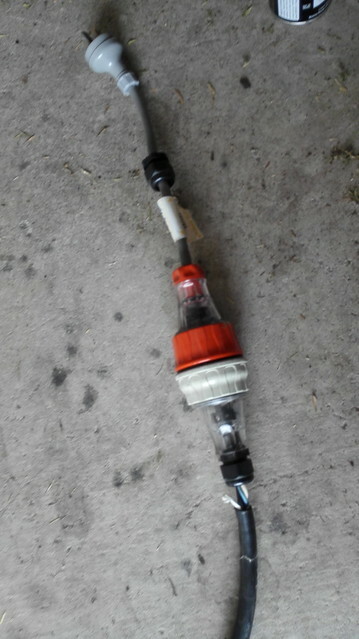 ..
New to the forums here, i'm an Electrical engineer from QLD. I have been looking out for a EV project car/ repair job. I would hope to get it back on the road. If i cant get it up and running for a fair cost it will become stationary batteries to power my home. Replace my inverter and tired old lead acids. I have repaired and restored a few cars in my time ( Datsun 180B, 120Y and a Holden HR ). A college / friend informed me of this opportunity. As i have just signed up to the site/forums i can not yet PM. If you PM me i would be happy to discus a price. The car is now sold. With the only offer for money by my cut off point of Saturday afternoon, Arron (aka n5064368) is now the proud owner of the wreck and it will make its way up to him soon. Had I waited just a few more hours, I would have received two more offers (both for a higher price), but I didn't see that as an option once I'd given Arron the good news. Car is with me in sunny QLD. After what was a bit of an ordeal getting the car picked up (Tow Company, bad communication). Sorry again PiMan. We got a 12V battery in her and she was up and moving again. Moved it around my place a bit. Cant move it too much, one shocky is toast (~30Deg Bend) so every bump is a problem. Just sent off pics to the local panel beaters to find out approx cost to straighten her back out. Chassis rail is compressed/bent but hopefully something they can just straighten out. Well if anyone is interested i'll keep you all up to date with the progress. Ditto, to both the thread and the interest. 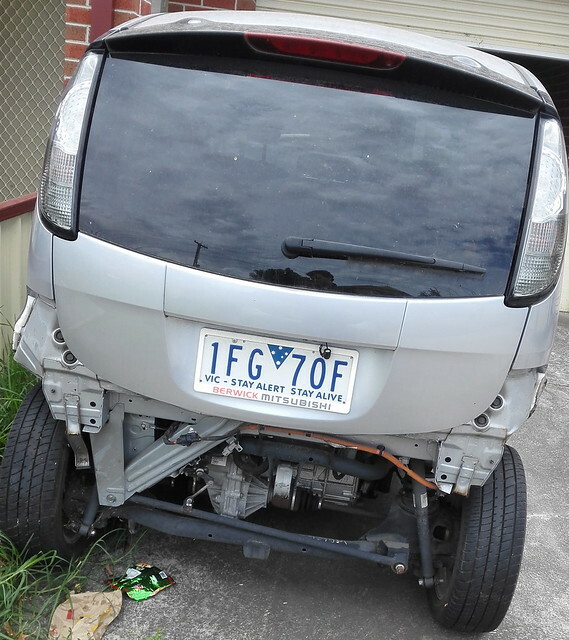 I wonder if the repairable writeoff / original owner doesn't want the hassle combination is a viable, low cost but moderate effort path to a used EV? 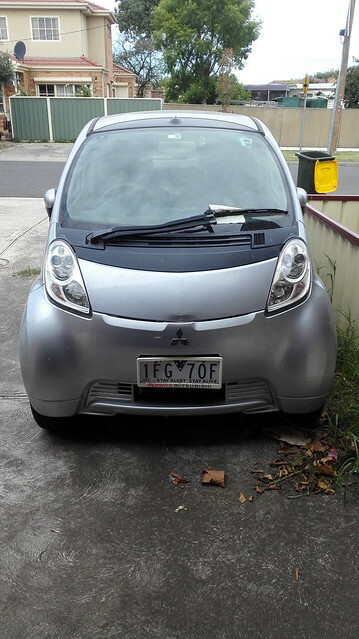 Quite probably, there aren't enough EVs in Australia to make that combination likely. I'd like to see the progress as well. I shall watch my EV get restored vicariously. Sorry I am only new to this forum and hope i'm ok to post this. Piman I have a 2011 i-miev wreck (dark red colour) from an accident involving a distracted driver hitting my husband which wrote off the car. I have someone interested in buying the wreck off me but unsure of the value for such a thing (if the batteries and motor are all ok), was wondering if you could give me an indication of what I should be expecting with all of this. Almost the right spot for this, but I can still help. The first thing many prospective buyers will want to know is whether it is a repairable writeoff or a statutory writeoff. In most cases, you will know by what the insurance company tells you, and you can also check the Personal Property Securities Register for a small fee if you have any doubt. The exception is if you are in New South Wales, where all writeoffs are classed as statutory writeoffs. A repairable writeoff can be repaired, but it will be expensive; a statutory writeoff is only good for parts and/or scrap. 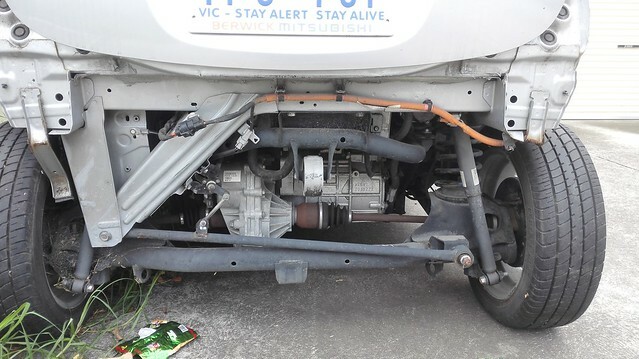 If the main battery is in good condition with relatively low kilometres before the crash, you might be able to get as much as $3000 from an eager buyer. Half that ($1500) is more realistic, and you could get less still if the battery is well used or not working (or less in my case, because I started the bidding at free and I had a self imposed strict time limit). Worst case scenario, you could probably get a scrap dealer to give you a few hundred dollars for it. Thanks so much for replying so quickly, we have been told by the insurer it is repairable (not a stat write off) but would really prefer to see it go to good use rather than sitting in a wrecking yard for years. I am not 100% sure of the salvaging fee but the receptionist said it may be in excess of $1,000? I have to call and speak with the assessor directly in the morning so won't find out all the details until then unfortunately. how many K's where on it before the crash?